Returning Starters: Nick Leader, 6-2, 205, sr., TE/DE; Taylor Boutmahavong, 6-0, 210, sr., FB; Drake Sherman, 6-1, 275, jr., OL; Noah Buss, 6-0, 205, sr., OL; Caden McCormack, 6-2, 215, sr., LB; Brett Lenners, 6-3, 200, sr., DE; TaeVyn Grixby, 6-2, 180, sr., FS; Easton Boyd, 6-1, 185, sr., LB; Alex McIntire, 5-11, 180, sr., OLB. Dylan Jorgensen, special teams. Others To Watch: Gabriel Davis 5-11, 165, WR/DB; Alex Devall, 5-10, 155, WB/DB; Brady Bickford, 6-0, 175, QB/CB; Dru Sovereign, 5-10, 160, RB/LB; Frazzie Wynn, 5-8, 175, RB/CB; Chase Rinne, 6-0, 180, WR/OLB; Preston Green, 6-1, 170, WR/LB; Carson Haas, 5-10, 155, WR/DB; Raad Issa, 5-6, 150, Special teams; Kenzer Saunders 6-5, 315, OL/DL; Dane Gebers, 6-4, 230, OL/DL. Season Outlook: Southwest may be another team to watch in 2018, based on experience they have coming back in the linebacking core (Boyd, Boutamahovong, McCormack and McIntire). 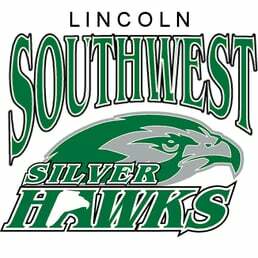 While there is an abundant of players on this team with varsity playing experience, Southwest will need to replace some starters, who helped the 2017 team break 15 school records.